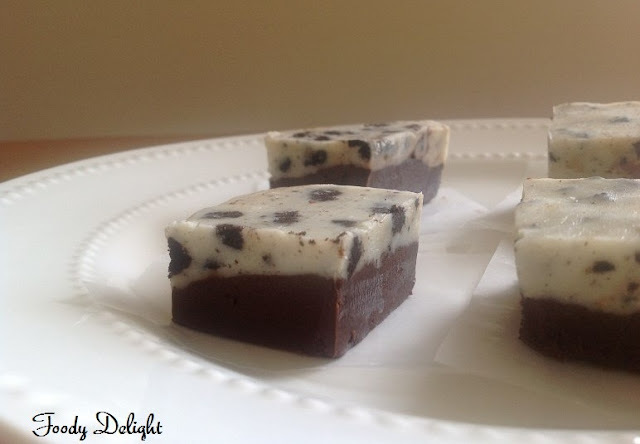 Double decker Oreo fudge is the fast and easy fudge with the twist of oreo.The Oreo gives the fudge a nice textural and flavour from the richness of the chocolates. Split sweetened condensed milk in half and set aside. Chop Oreos and set aside. Here you need double broiler method. If you don’t have a double boiler, place a pot with about an inch of water in it on the stove. Place a heat-proof bowl in the pot making sure the bottom does not touch the water. Combine semi sweet chocolate chips, one ½ of sweetened condensed milk, 2 tablespoon of butter into one bowl and place the mixture bowl to the top of a double boiler or place your bowl over the pan/ pot with simmering water . Stir until melted and combined. Pour the mixture into greased tray pan and level the mixture using the rubber spatula. Now combine white chocolate chips and remaining half sweetened condensed milk into one bowl and place the mixture bowl to the top of a double boiler or place your bowl over the pan/ pot with simmering water . Stir until melted and combined. Fold in Oreos and stir to combine. Pour the mixture on top of semi sweet chocolate layer and refrigerate for 1 an hour to set. 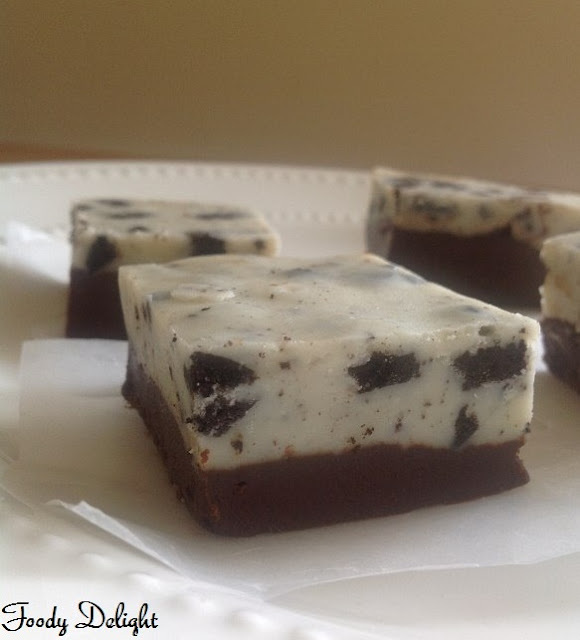 Remove from refrigerator and cut them into small squares. For ease of cutting make sure to clean knife between cuts to prevent sticking. Omg!! this is such an amazing dessert!! Ohhhh... looks lovely... wish I could have a slice..
Looks delicious. Will try soon. 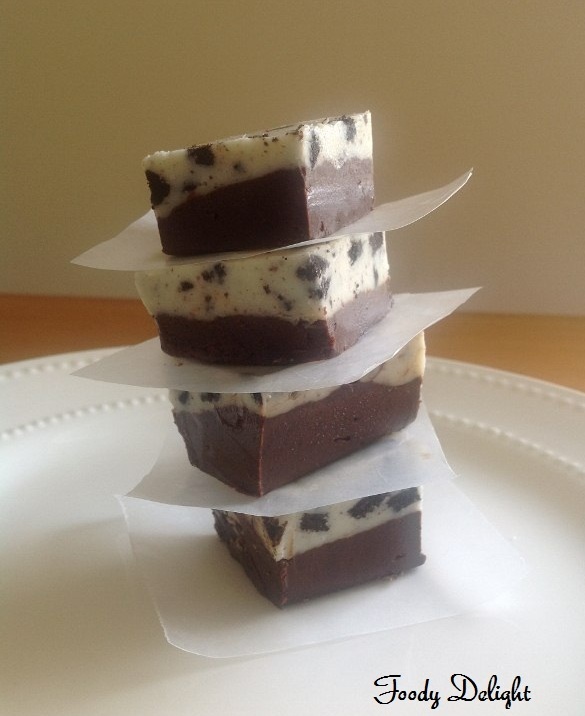 Irresistible fudge,drooling rite now here.